The Powerpuff Girls have found a new streaming home! Hulu has just landed a multi-year that will bring the Cartoon Network series to its service. The deal will include both the new reboot and the classic series. The new series will arrive in early 2017, but viewers can check out some special classic additions now. Find out more about this deal from the press release below. Hulu has nabbed the exclusive streaming video on-demand rights to the entire franchise of Cartoon Network’s The Powerpuff Girls. The extensive multi-year agreement will add the entire The Powerpuff Girls suite of content which includes the newly reimagined and Emmy Award-nominated series that debuted earlier this year, and the full classic library episodes. Chowder, another Cartoon Network original, will also be added to Hulu’s kids offering. All episodes and titles from the newly reimagined series will stream exclusively on Hulu in early 2017. To kick off the deal, Hulu today launched a collection of The Powerpuff Girls specials and fan favorite episodes from the original series – just in time for the holiday season. The special package, titled Best Friends Forever, includes the The Powerpuff Girls 10th anniversary special, as well as a holiday special, and is available to stream within the Hulu Kids environment now. As one of Cartoon Network’s most enduring original series, the initial run of The Powerpuff Girls, created by Craig McCracken, premiered in 1998 and quickly became a global phenomenon. Since its premiere, the series earned two Emmy® Awards along with five nominations and countless animation honors throughout its 78 episodes. The new series continues to inspire children all over the world to learn to code through special episodes and programs. The newly reimagined The Powerpuff Girls made its global return in April and successfully won the night in all key demos and had over 81 million worldwide fans, making it the largest international event in the history of the Cartoon Network. The series was renewed for a second season, with episodes from the first season scheduled to become available to stream on Hulu in 2017, and subsequent seasons launching on Hulu after they air on Cartoon Network. 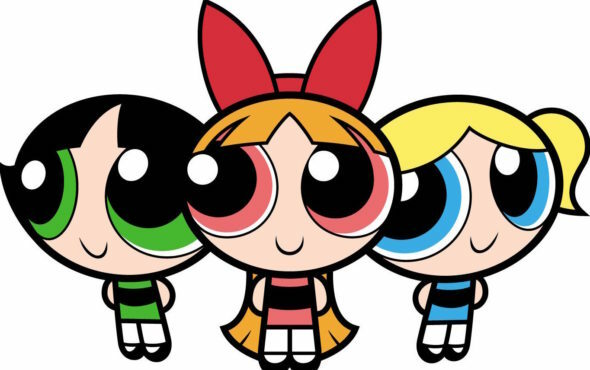 The newly reimagined series The Powerpuff Girlsis produced by Cartoon Network Studios, with Nick Jennings (Adventure Time, SpongeBob SquarePants) serving as executive producer and Bob Boyle (Wow! Wow! Wubbzy!) as co-executive producer. Cartoon Network’s The Powerpuff Girls franchise will join a full catalog of exclusive original programming from Cartoon Network that is now available to stream on Hulu through an existing output agreement with Turner Broadcasting. The extensive licensing deal made Hulu the streaming home to the largest selection Cartoon Network programming. Under the deal, Hulu acquired the exclusive streaming video on-demand rights to full prior seasons of Cartoon Network juggernauts Adventure Time, The Amazing World of Gumball, Regular Show and Steven Universe; as well classic animated titles. Hulu’s growing library of exclusive, top-rated kids programming includes one of the highest-rated kids television properties, CURIOUS GEORGE, as well as full libraries of Doc McStuffins, Gravity Falls and Teenage Mutant Ninja Turtles. Are you a fan of The Powerpuff Girls in your home? Will you check out the episodes on Hulu? Tell us what you think.